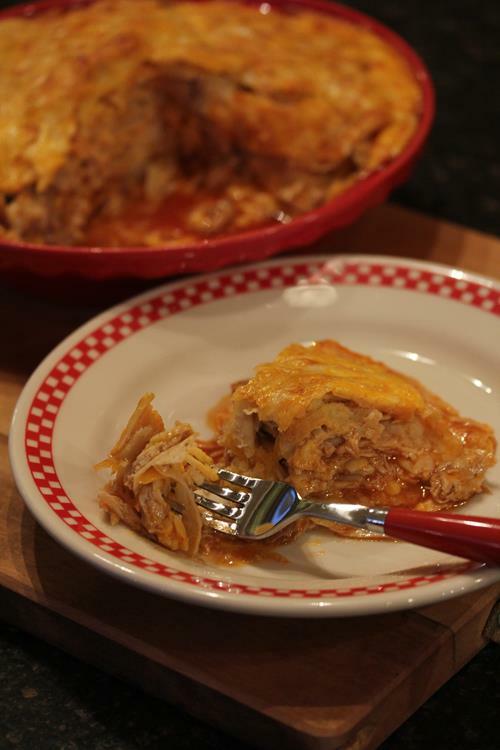 Chicken Enchilada Pie is a simple dinner recipe that only contains four ingredients. It is also easy to make gluten free! 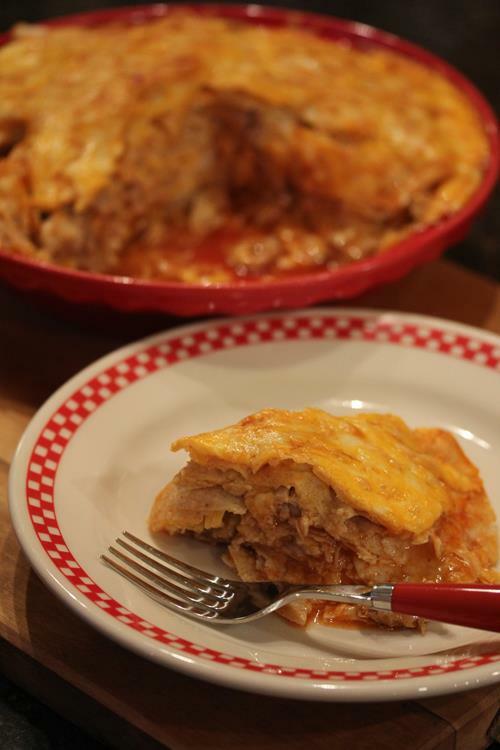 Chicken Enchilada Pie is one of those recipes that isn’t really a recipe. It is four basic ingredients layered together and baked. It is simple and delicious. It is also easy to make gluten free because all you have to do is make sure your enchilada sauce is gluten free. Or use homemade enchilada sauce. I love that this can be made with ingredients I almost always have on hand. 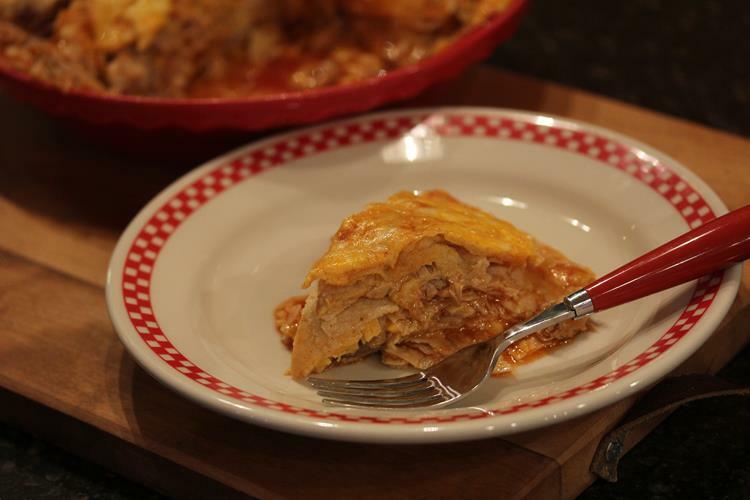 Spread about 1/4 cup enchilada sauce in the bottom of 9×9 oven proof dish or a deep dish pie plate. Arrange two or three tortillas on top of sauce, tearing tortillas and arranging to fit the dish if needed. Sprinkle about 1/4 of the cheese and 1/4 of the chicken on top. Pour about 1/4 of a cup of sauce over the meat and cheese. Place another layer of tortillas on top and repeat meat, cheese, and sauce layers. Bake for 30-35 minutes or until cheese is melted and it is heated completely through. Yum! Next time I buy chicken breasts at Sams I need to cook them up in my Instant Pot and shred them for recipes like this. Thanks for the great idea! I love cooking chicken in the slow cooker and Instant Pot for recipes like this. I make a big batch and freeze it so that I have in on hand. I hope you enjoy the recipe! I am glad that you enjoy this! Thanks for letting me know. It is a favorite for us as well.